Registration for these Microsoft sessions will open very soon. Spaces will be limited so please follow this site or @sqlsouthwest on Twitter to get news of when you can register. Data Insights Immersion is a new in-person facilitated workshop that allows you to take your own journey in understanding how Microsoft’s Cloud OS vision can can deliver a consistent and comprehensive set of Big Data capabilities, covering SQL Server 2012, Microsoft HDInsight Services, Sharepoint and Microsoft Excel. From providing easy access to data (enabling everyone to find data, both internal and external, mash it up, play with it, and visualize it in real time); bringing analytics to all (providing access to powerful, familiar tools to make BI engaging and fun at all levels of the business); to making it easier for you to manage data through our unified and complete data platform. 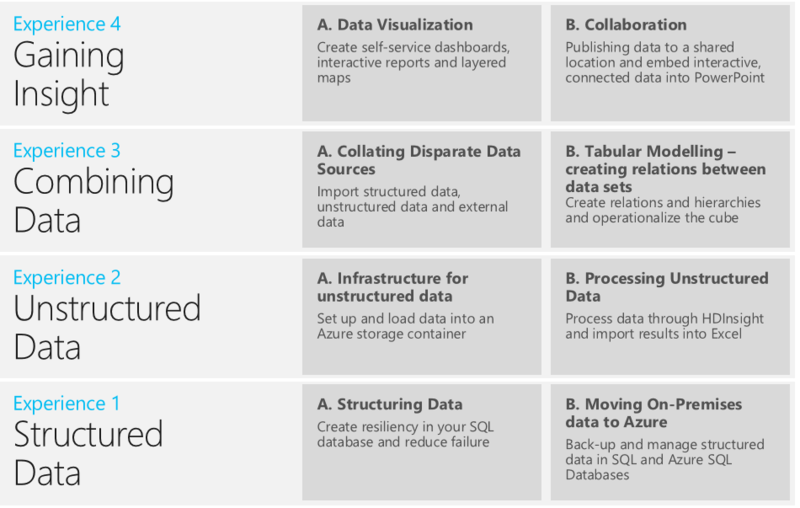 Allow us to take you through the four experiences that cover the deployment and use of Microsoft data platform technologies for both structured and unstructured data across both on-premise and Cloud deployment options via Windows Azure. Each 3.5 hour session will accommodate up to 8 people all of whom will have access to the immersion environment for hands on activities. The sessions are free to attend and lunch is included.